After more than five years working on various motor yachts and gulets sailing Croatia, my husband and I wanted a change; the winds of the Adriatic were beckoning and we wanted to answer their call by hoisting our sails – sailing Croatia as it should be, and our season did not disappoint. The boat was everything we had hoped for and there is absolutely no comparison between motoring and sailing (maybe I will go into the differences another day) but what we didn’t expect was the type of clientele we would get aboard. There was a vast price difference between the boats we used to crew and Sinbadsan, so we assumed that this would reflect on the type of guests we attracted. Turns out, quite the opposite was true. We had very affluent guests, from people topping rich-lists to a celebrity with his family. And the best part? Everyone was so damn humble and down-to-earth. I put it down to a sailing yacht attracting a certain kind of people. 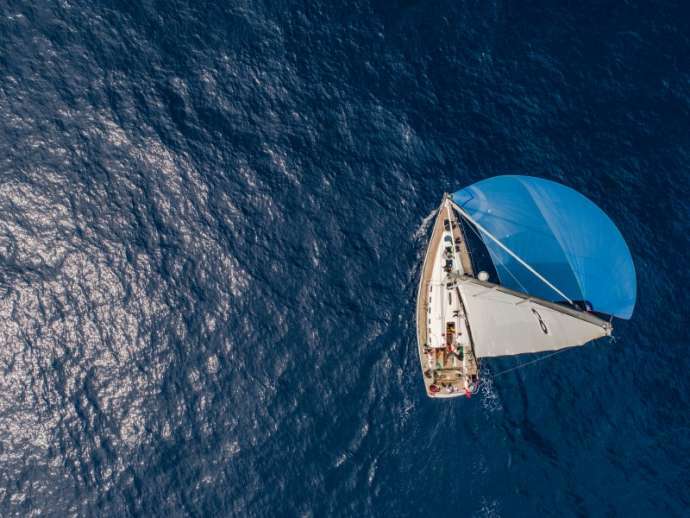 While the Scorpio 72 is gorgeous and a very unique sailing yacht with her beautiful wooden interior and detailing, she is not a luxury motor yacht with a 4 – 8-person crew and all of the bells and whistles. Sinbadsan is humble and so it seems like attracts like. Our guests’ interests in sailing Croatia also varied; some wanted to explore the highlight destinations, some wanted a mixture of active activities and relaxing, others were interested in the gastronomy scene in Croatia – creating an entire itinerary based solely on which restaurants they wanted to visit along the Dalmatian coast. We even had two groups that didn’t actually care where we went, they simply wanted to follow the wind – these were seasoned travellers who deeply understood that it isn’t always about the destination but rather the journey. This should answer a question we always get asked – “doesn’t it get boring doing the same thing every week?” No. Not on this yacht anyway, no two weeks are ever alike. We adapted to all of our guests’ wishes, creating personalised itineraries depending on what they wanted. 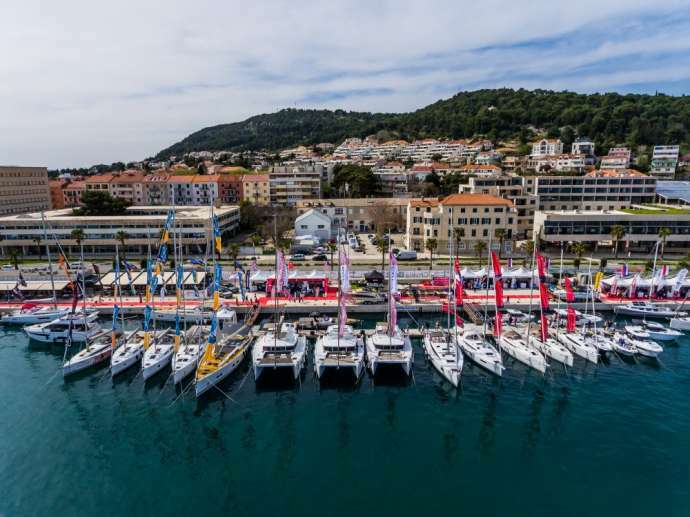 When sailing Croatia, one of the first few decisions you will need to make is – what region? Most first-timers choose to sail in Central Dalmatia, as this is where most of the highlight destinations that flood your news feed are. Images like the lavender fields in Hvar, Stari Grad – the oldest town in Europe, the blue cave (Biševo/Vis), Zlatni Rat beach (Brač), the gorgeous fortressed town of Korčula, the blues and greens of Mljet National Park to the grandeur of Dubrovnik. The majority of iconic images associated with sailing Croatia, you can find along the Dalmatian coast – though don’t let this fool you, sailing a Northern route has plenty of its own charms and fewer crowds. Even so, each of these islands and destinations has a number of towns, villages and paradise-like bays to drop anchor. Exploring the main towns or simply relaxing in nature, all of our guests had their own idea of what a holiday meant to them. Now, with all of these picturesque destinations and centuries of history, coupled with some incredible gastronomical highlights (read our Sailing in Croatia Michelin Guide here), you would think that the highlight moments of sailing Croatia would be obvious. On the luxury yachts we worked on, I could have said an easy and emphatic – yes. But again, the setting of our sailing yacht Sinbadsan created something that money can’t buy and brochures can’t sell. As humble and grounded as our guests were, they were all still very well-travelled yet it was all of the ‘simple pleasures’ from our week at sea that they all quoted as moments that will stay with them. These are the top 5 highlights mentioned from our charter guests. 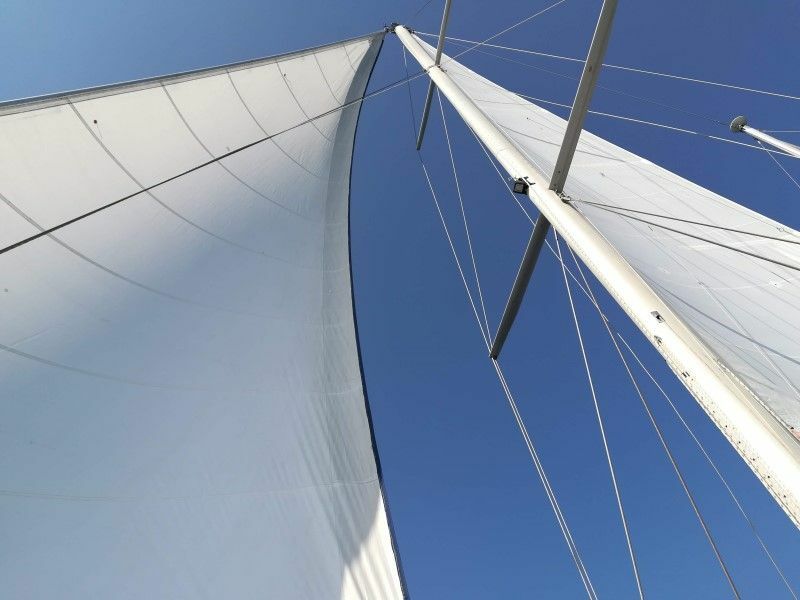 This is where the difference between a motor yacht and sailing yacht comes into play, there is nothing that comes close to that moment when you hoist the sails and switch the engine off. Sitting beneath full white sails, pitched against a bright blue sky, watching the sunlight dance across the azure blue Adriatic, outlines of islands in the distance (destination unknown)… with nothing but the sound of gently lapping waves against the yacht’s hull and lines rhythmically tapping against the mast, while the sails sing their own song with each gust of wind – filling and folding, propelling a 40-tonne yacht along the water with ease and grace. In the fast-paced world we live, there are very few moments which allow us to sit and be without a multitude of tasks at hand and on our minds. This. This is what the sea gives, a chance to fully immerse ourselves in our surroundings, succumbing to nature’s charm and total presence. I feel more connected and present at sea and I watched each of our guests find this for themselves. Cobblestone streets well-worn by thousands of feet over centuries of history, every town has its own unique charm and many winding alleys to explore. It’s truly a shame not to. And while our guests were taken with Croatia’s beauty and history – more so than the glossy images do justice, some of their favourite moments were spending an entire day anchored in a bay. It makes sense. Think back to your favourite travel memory of when you were the most relaxed – was in when you were heel-to-toe with tourists lining up to see Michelangelo’s David in Florence, shopping on Oxford Street in London, bartering in the Bazar in Turkey? My guess is none of the above. Don’t get me wrong, I loved these experiences during my travels but I can hardly describe them as relaxing. Besides the incredible sights, sounds, smells and tastes our senses encounter in travel, my favourite memories from travelling were always the ‘in-between’ moments and they were always related to nature (and generally very little human contact). Spending one full day anchored in a bay away from crowds is exactly what the doctor ordered to nourish your soul. 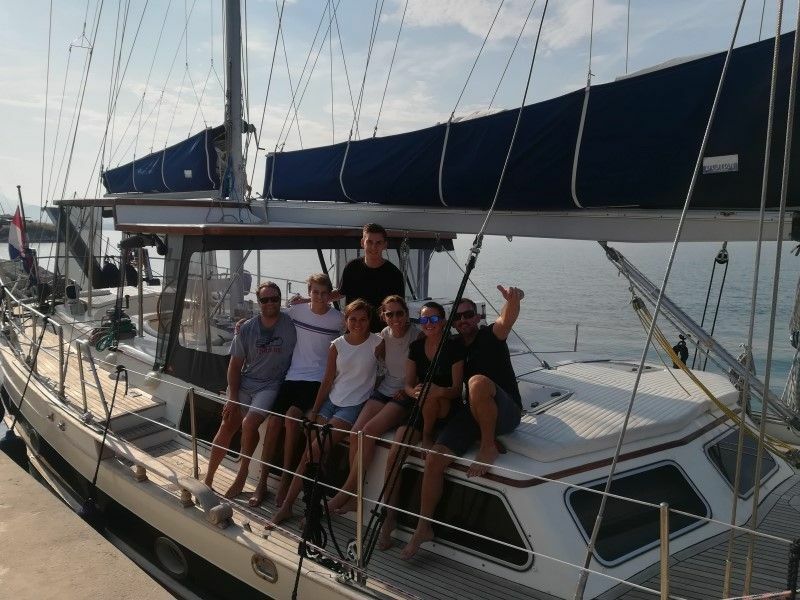 During the 7 day charter sailing Croatia, this was the day that no one anticipated or planned for, yet it is precisely what everyone needed and appreciated above all else. This was six years again and it seems people are still just clueing-on to this fact. Sailing Croatia offers you the best possible way to explore the coast AND indulge in some of Croatia’s best restaurants – many of which are only accessible by boat. Like I said, many of our guests came here with the sole intent of wining and dining along the Dalmatian coast, with their entire sailing Croatia itinerary based on which restaurants and wineries to visit – the foodie in me adored these trips, especially as Croatia is now on the Michelin map. Yet still, it was the ‘no-frills’ restaurants that our guests quoted as their favourite dining experiences ashore (I will get to dining aboard next). For example, one restaurant we started frequenting this past year is not only unassuming but being tucked away in a small bay, if you don’t know the coast you would sail right past it and there is no chance of ‘stumbling upon it’ without a yacht. This is one of the many reasons we love it but that’s barely scratching the surface. The restaurant itself is made up of a few wooden tables, scattered around a quaint stone beach – no tables crammed so near to each other that you can feel your neighbour’s breath… One table even stands alone at the water’s edge, inside an old wooden boat! It is run by a father, mother and son; the mother stays tucked away in the kitchen inside, taking care of all of the sides – fresh vegetables grown from their garden, while the father (who has the most exceptional moustache I have ever seen) mans the grill and the son – a giant man with a wicked sense of humour and contagious bellowing laugh, takes orders. There is no music, there is hardly a menu – the son will you lead you to the grill to show you their fresh catch from the day, which will be placed immediately on the grill. To je to. Sides are simple – salad, vegetables, potatoes, the wine is homemade and the rakija will blow your top off. It is heaven. I am not even going to mention the name of this restaurant or where it is because quite frankly, I do not want to ruin this tiny piece of paradise. Those who know, know. 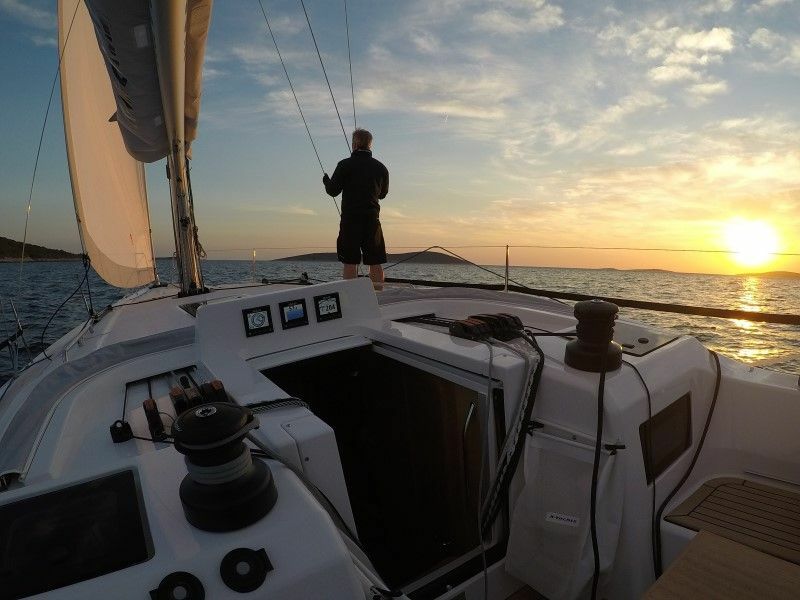 (Another reason an experienced, local crew is important to your sailing Croatia holiday). Many of our guests, especially our USA guests professed never having dined anywhere like this in their lives and that it topped any Michelin restaurant they have ever dined in. Now, to be fair, there is no comparison to between this restaurant and a Michelin-starred restaurant, they are in completely different categories but it just goes to show that an authentic, no-frills experience is sometimes all we need. Along the same lines as above, our guests who were all well-travelled and have dined in some of the best restaurants around the world, raved about the food we served aboard, particularly the dishes which were the simplest. On our yacht, we do half-board – which is breakfast and lunch served aboard. Now, when chartering and sailing Croatia, the difference in the food you will be served aboard varies dramatically depending on the style of yacht. Mini-cruisers serve good food, but considering it is prepared for 30 – 50 people daily, it is not necessarily the best or freshest cuisine – let’s call it hearty, pub-style food. Gulets and motor yachts have full-time chefs aboard to prepare all meals with care and attention, transforming some boats into a floating fine dining restaurant! Bareboats – well, are bare unless you request a cook, and smaller crewed sailing yachts come with a skipper and cook but this can be a mixed bag as to what you will be served; if they are local you are bound to get traditional dishes and seafood – I know one skipper who is everything, she sails, dives, cooks and serves gorgeous, fresh cuisine aboard for her guests – a one-woman show! While some keep it super-basic, serving up sandwiches, wraps, simple plates of pasta etc. If food is important to you, this is an aspect worth researching before you book. This was our first year working together aboard Sinbadsan as a 2-person crew, before this we always had a chef onboard with us. Cooking for guests was actually an area we were most nervous about because neither of us is a chef but we both know how important food is to travel and an overall experience. So, we cooked what we know – fresh seafood, traditional Dalmatian dishes and ‘simple’ dishes with the best ingredients. We bought high-quality beef fillets, excellent pieces of fish for a traditional stew (brujet), truffles from Istria for a pancetta and truffle pasta, cuttlefish for black risotto (crni rižot) and while the guests were wowed with these dishes, one of the meals that really surprised them was our ‘cheap and cheery’, very local dish of sardines and anchovies. 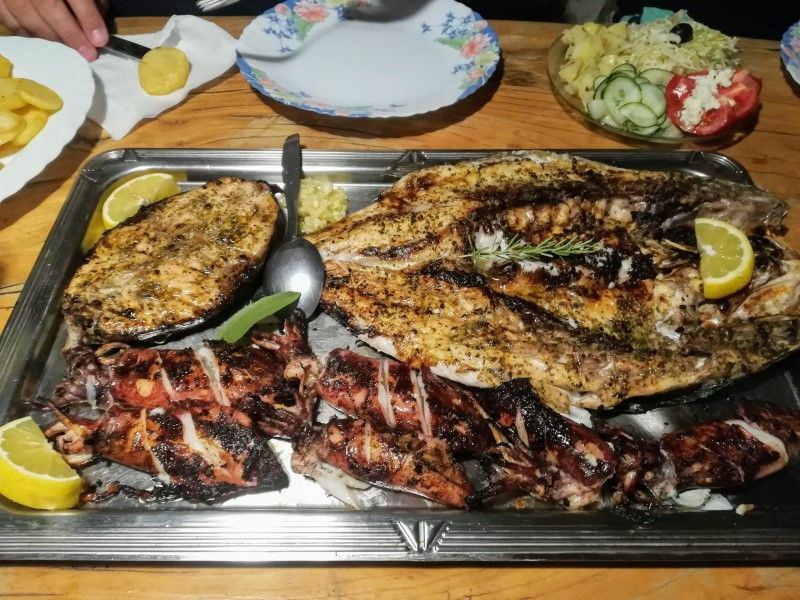 We do the fish two-ways, the sardines are lightly dusted in flour and grilled, while the anchovies are cooked ‘lešo-style’ – in a vegetable and white wine broth. 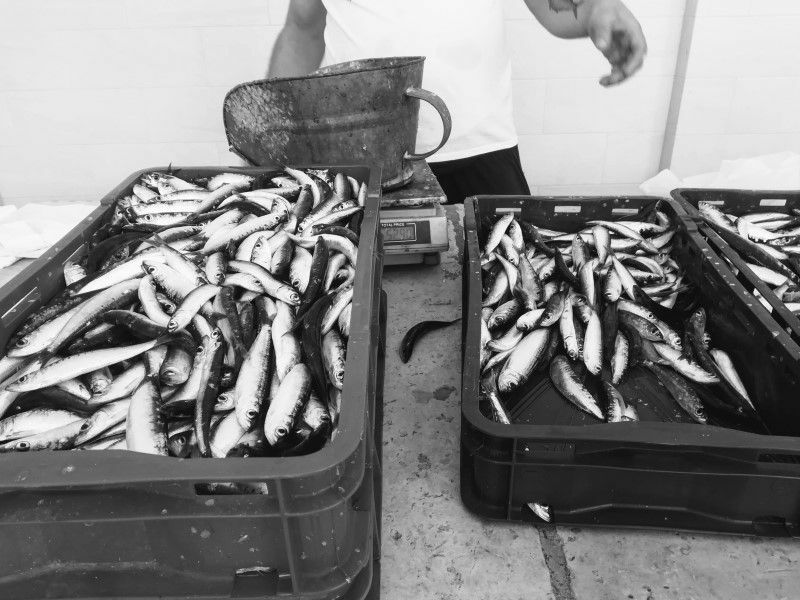 Our American guests were always the most apprehensive about this dish because a) anchovies and sardines are considered cheap catch (which they are) and b) Customarily, Americans aren’t used to being served the whole fish – seeing the eyes and all, they are used to seeing everything as fillets. But once they got over these reservations and tried it, they were all wowed. Drown it all in olive oil, mop it up with bread and wash it down with wine (this is the meaning behind the dalmatian saying – a fish should swim 3 times in its life). One of our guests describes it as ‘a tiny, bite-sized piece of heaven’. “The best thing I have ever eaten”. “I will never look at sardines and anchovies the same”. “The greatest surprise, sailing in Croatia”. All of this for a dish that is so simple, yet the epitome of Croatian cuisine and the simple, “po malo” lifestyle we live here. It is actually our favourite meal too. You can keep your foi gras in the likeness of a mandarin, give me fresh grilled sardines or lešo anchovies any day! And it seems, our guests felt the same way. At the risk of sounding conceited, this is still something that needs to be mentioned and it comes from years’ of experience. 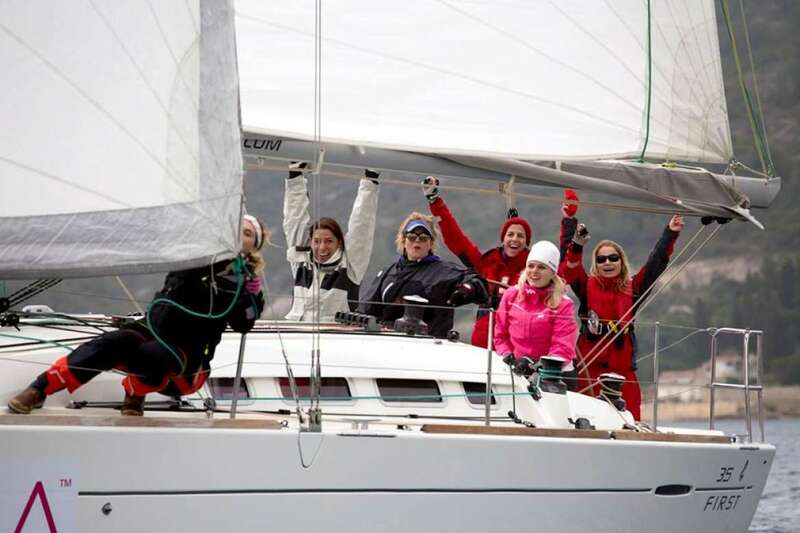 Ask most charterers what their highlights of sailing Croatia were and among the list of highlights, they will undoubtedly mention the importance of a good crew. For better or worse, the crew can make or break your sailing Croatia holiday. Last year I interviewed more than a dozen return charterers to Croatia, to ask them not only why they choose to sail Croatia again, but also why they choose to return to the same boat. They all listed the usual suspects when it comes to Croatia highlights – nature, history, gastronomy… but without exception, they all mentioned how important the crew was to their sailing Croatia holiday (read the full story here). Our personal experience also attests to this. Every year, we made lasting connections with our guests and this year aboard Sinbadsan, even more so. We put it down to the intimacy that a sailing yacht creates. On Sinbadsan, even though we are professional in every aspect and are there for their every request, there is still a closeness that is formed by shared moments sitting in the cockpit versus standing to attention in the peripheries of a larger luxury yacht. It’s enough to make you choke up and because I am an emotional human, I did and still do. But the point is – in life, it’s the connections we make with others that stay with us long after the photos have faded. So, don’t underestimate the difference a great crew will make to your experience. I would almost say, this should be the first thing to consider when choosing a charter yacht. 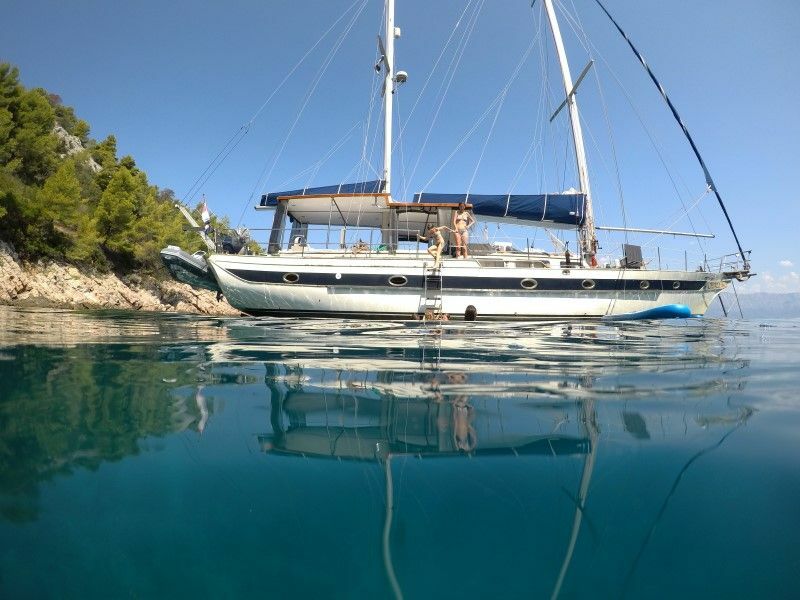 So, when are you booking your sailing Croatia holiday? There you have it, these are the 5 surprising highlights from sailing Croatia but this is just the tip of the iceberg. Recently, a journalist from Elite Daily wrote about how her sailing Croatia experience changed her life – quoting the food, living a simpler life and having time to clear her head as some of the reasons. Take it from someone who has now spent six years sailing Croatia (and still not sick of it) – it really is all this and so much more. 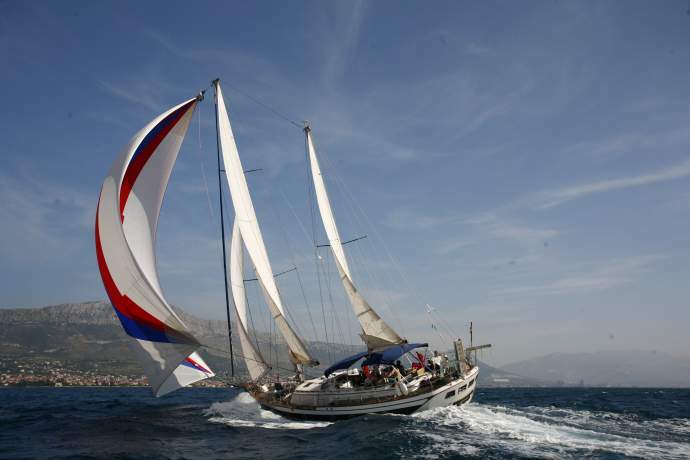 So, when are you booking your sailing Croatia holiday?